At Abeona we are focused on treating rare diseases and serving patient communities through our pioneering work in gene therapy. Learn more about our products below. EB-101 is an autologous, gene-corrected cell therapy for RDEB, a rare connective tissue disorder without an approved treatment in which patients suffer with severe epidermal wounds that impact the length and quality of their lives. People with RDEB have a defect in the COL7A1 gene, leaving them unable to produce Type VII collagen that helps anchor the dermal and epidermal layers of the skin. Treatment with EB-101 involves using gene transfer to deliver COL7A1 genes into an RDEB patient’s own skin cells (keratinocytes) and transplanting them back to the patient to enable normal Type VII collagen expression and skin function. The VITAL Study, a pivotal Phase 3 clinical trial evaluating EB-101 in RDEB patients is expected to begin in mid-2019. Learn more. In a Phase 1/2 clinical trial, EB-101 was well-tolerated and resulted in significant and durable wound healing, with up to 5 years of follow-up. Continuous Type VII collagen expression was observed more than two years after treatment, and no drug-related serious adverse events have been observed to date. Abeona holds several regulatory designations in the U.S. and EU for EB-101 that allow increased interactions and guidance from the FDA and EMA. In the U.S., these include Regenerative Medicine Advanced Therapy, Breakthrough Therapy, and Fast Track designations and Orphan Drug designation in both the U.S. and EU. ABO-102 is a novel, one-time gene therapy aimed at reversing the effects of the genetic error that causes Sanfilippo syndrome, or MPS IIIA, a rare disease without an approved treatment that is characterized by rapid neurodevelopmental and physical decline. People with MPS IIIA have a defect in the SGSH gene that hinders the breakdown of toxic sugars called glycosaminoglycans (GAGs) that accumulate in the brain and other parts of the body. This accumulation causes progressive cell damage that can slow development and cause other autism-like symptoms. Our ongoing Phase 1/2 trial of ABO-102 aims to enroll higher functioning patients who are likely to receive the most benefit from treatment. Preliminary results from the study demonstrate that ABO-102 has been well tolerated to date with a clear dose response and sustained improvement in biomarkers. Encouraging neurocognitive signals have also been seen in younger, higher functioning patients. Abeona is planning to initiate a separate study evaluating ABO-102 for the treatment of patients with more advanced disease. Abeona holds several regulatory designations in the U.S. and EU for ABO-102 that allow increased interactions and guidance from the FDA and EMA. In the U.S., these include Regenerative Medicine Advanced Therapy and Fast Track designations, and Orphan Drug designation in both the U.S. and EU. NAV® is a registered trademark of REGENEXBIO, Inc.
ABO-101 is a novel, one-time gene therapy aimed at reversing the effects of the genetic error that causes Sanfilippo syndrome type B, or MPS IIIB, a rare disease without an approved treatment that is characterized by rapid neurodevelopmental and physical decline. People with MPS IIIB have a defect in the NAGLU gene that hinders the breakdown of toxic sugars called glycosaminoglycans (GAGs) that accumulate in the brain and other parts of the body. This accumulation causes progressive cell damage that can slow development and cause other autism-like symptoms. ABO-101 is designed to deliver a working copy of the defective NAGLU gene to cells of the central nervous system and peripheral tissues using the NAVâ AAV9 vector platform. This one-time IV infusion may help the body produce an enzyme to break down GAGs. Abeona holds an exclusive license from REGENXBIO to use the NAV vector platform to develop ABO-101 for the treatment of MPS IIIA. We are enrolling eligible patients with MPS IIIB into an ongoing Phase 1/2 clinical trial of ABO-102. Study sites are currently located in the U.S. with additional sites expected to be activated in the U.S. as well as in Germany, France, and the U.K. in 2019. Pre-clinical data suggests that a one-time dose of ABO-101 may significantly restore normal cell and organ function, correct neurological deficits, and increase neuromuscular control. Additional pre-clinical data suggests that functional benefits of treatment with ABO-101 remain for several months after treatment, compared to untreated control animals. These results are consistent with studies from several laboratories suggesting AAV treatment could potentially benefit patients with MPS IIIB. In the U.S., Abeona holds Fast Track designation for ABO-101, and Orphan Drug designation in both the U.S. and EU. ABO-202 is a novel, one-time gene therapy for the treatment of infantile Batten disease, or CLN1 disease, a rare disease without an approved treatment in which patients face precipitous developmental regression with most not living past their 20s or 30s. The first noticeable sign of all forms of Batten disease is often progressive vision impairment that can end in blindness. Many children also lose the ability to speak in complete sentences and to walk or sit. People with the disorder have a defect in the CLN1 gene, which is synonymous with a deficiency in proteins critical to lysosomal function that lead to abnormal buildup of lipopigments, and result in neuroinflammation and neurodegeneration. ABO-202 is designed to deliver a working copy of the defective CLN1 gene using the NAVâ AAV9 vector platform. Abeona holds an exclusive license from REGENXBIO to use the NAV vector platform to develop ABO-202 for the treatment of CLN1 disease. The gene therapy is expected to enter the clinic later in 2019, and Abeona has manufactured clinical-grade product for use in anticipation of conducting a Phase 1/2 study. Pre-clinical data suggest that ABO-202 may have a favorable safety profile, with no significant toxicology findings. Other IND-enabling studies also demonstrated normalized survival, improvement of motor function and cognition in affected mice treated with ABO-202, and that combination dosing of IV and intrathecal administrations may enhance the therapeutic potential of ABO-202. Abeona holds Orphan Drug designation for ABO-202 in the U.S. and EU and Rare Pediatric Disease designation in the U.S.
ABO-201 is a novel, one-time gene therapy for the treatment of juvenile Batten disease, or CLN3 disease, a rare disease without an approved treatment in which patients face precipitous developmental regression. The first noticeable sign of all forms of Batten disease is often progressive vision impairment that can end in blindness. Many children also lose the ability to speak in complete sentences and to walk or sit. People with the disorder have a defect in the CLN3 gene, which is synonymous with a deficiency in proteins critical to lysosomal function that lead to abnormal buildup of lipopigments, and result in neuroinflammation and neurodegeneration. ABO-201 is designed to deliver a working copy of the defective CLN3 gene using the NAVâ AAV9 vector platform. Abeona holds an exclusive license from REGENXBIO to use the NAV vector platform to develop ABO-201 for the treatment of CLN3 disease. Pre-clinical data suggest that ABO-201 may result in significant, dose-dependent biodistribution into the central nervous system and peripheral organs in adult mice with CLN3 disease. Abeona holds Orphan Drug designation for ABO-201 in the U.S. and EU. ABO-401 is an investigational gene therapy for the treatment of cystic fibrosis (CF), and the first therapeutic candidate born from the next-generation AIMTM vector platform. Pre-clinical data suggest that ABO-401 has the potential to address all mutations of CF, including the most common mutation, delta-F508. Additional pre-clinical data suggest that ABO-401 efficiently targets lung cells and corrects the underlying CF chloride channel deficit, regardless of underlying mutations of the CF transmembrane conductance regulators. Abeona is exploring the potential of ABO-50X for the treatment of genetic eye disorders. ABO-50X was discovered by Abeona researchers and was born from the next-generation AIMTM vector platform. Non-human primate data suggest that next-generation AIMTM AAV vectors can be used to efficiently target the retinal epithelium after intravitreal injection, creating the potential for new pipeline candidates that can address multiple eye disorders. Additional pre-clinical data show that certain AIMTM capsids that demonstrated high tropisms for central nervous system tissue can evade neutralizing antibodies against naturally occurring AAV serotype, and potentially enable redosing in patients that have previously received an AAV injection. Innovative science is just the first step. 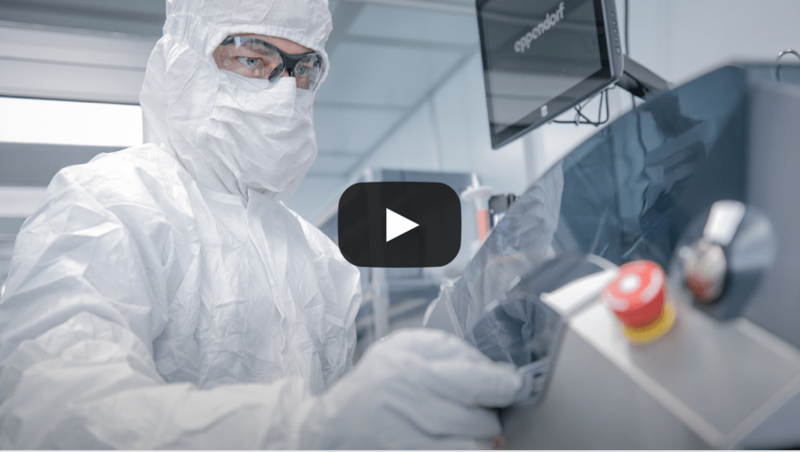 Success is found in execution, and Abeona’s internal state-of the-art cell and gene manufacturing and production facility translates vision into reality. This is a significant step toward achieving our mission to deliver cell and gene therapies for people impacted by serious diseases. Natural History Study: A prospective one-year natural history study of mucopolysaccharidosis types IIIA and IIIB: Implications for clinical trial design. Molecular Genetics and Metabolism. 2016 Aug 18. Truxal KV, Fu H, McCarty DM, McNally KA, Kunkler KL, Zumberge NA, Martin L, Aylward SC, Alfano LN, Berry KM, Lowes LP, Corridore M, McKee C, McBride KL, Flanigan KM.